The family and friends of Jerry Greer have established a memorial scholarship fund to honor Jerry’s energy, athleticism, and love of life. 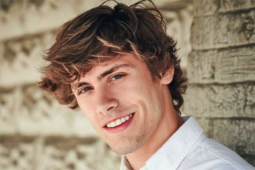 The Jerry Greer Memorial Scholarship will ensure that future athletes of Dickson County High School, particularly those with dyslexia, can celebrate Jerry’s life through the opportunities they will receive through this fund. Watch Craig perform on The Today Show! Watch Craig perform "I'll Be Home Soon" on The Today Show! Watch Craig perform on Fox and Friends! Watch Craig perform "I'll Be Home Soon" on Fox and Friends! 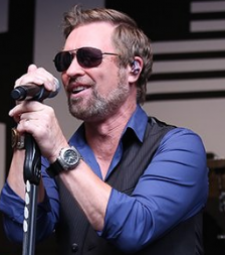 With a brand new album, A Whole Lot More To Me, and the seventh season of his hit television show, “Craig Morgan: All Access Outdoors” premiering on July 1 on Outdoor Channel, summer is heating up for country music entertainer, military veteran and award-winning TV host CRAIG MORGAN! Fans Get "A Whole Lot More To Me" at album release show in Nashville! 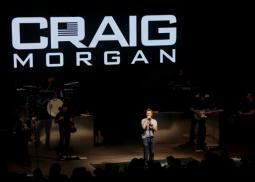 Fans and friends crowded into the newly renovated Wildhorse Saloon this week to celebrate the release of Craig Morgan’s profound new album a Whole Lot More To Me. 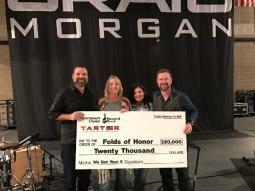 The night, presented by Kidde, Line-X, and NRA Country kicked off with performances by Hailey Whitters, Jillian Cardarelli, Adam Sanders, and Mac Powell. The party continued late into the night with Morgan taking the stage and sharing tracks from the new LP and several of his chart toppers with fans singing along. Watch the new music video for "I'll Be Home Soon"! 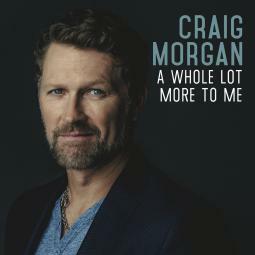 Craig releases new single, "I'll Be Home Soon" from upcoming album, "A Whole Lot More To Me"!